One from a long, long time ago in my Canon 350D days. Used Topaz impression then dialled it back using the opacity slider to give it a soft painterly effect. Super work, Peter! Love the soft painterly effect you achieved with Topaz Impression. 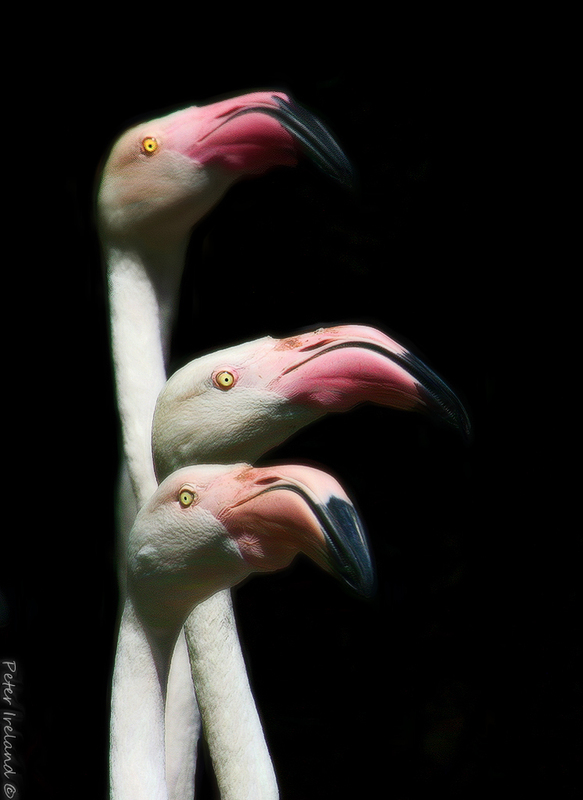 The dark background really sets off the Flamingos beautifully. The poses of the birds are so unique – one stacked over the other. Very creative and well done! Fantastic, Peter! Love the composition, expressions and creative use of Impression for a nice subtle texture. The black background really makes this pop! Exciting work!! Those eyes are something else, Peter! Wild!